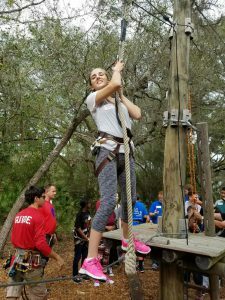 Easter Seals SWFL is swinging into spring with a host of events! May 9 – June 27: A FREE opportunity for Parents, Grandparents, Child Care professionals, Early Learning educators and Caregivers to attend eight workshops focusing on specific areas of child development and learning using demonstrations and hand-on activities. Each session is 2 hours 5:30-7:30PM and includes a meal and childcare is provided! The sessions are held weekly from May 9th – June 27th. Registration is required, please register HERE. For more information, contact Jeannine Ryan via email or phone 941-355-7637. May 22, 6:00 PM: Kaleidoscope is a free performance but you must have a ticket to enter. Year after year there is SRO so please secure your tickets online or by calling the Asolo Rep’s Box Office at 941-351-8000. Following the performance there is a brief reception. June 8 – August 9: Elementary Aged Summer Camp. This is a fun and stimulating summer program that features loads of field trips and a specialized Reading program. For more information, contact Director Tim Foor (941.355.7637 x 502). Enrollment is required. June 10: Gasparilla Island Kids Classic Tarpon Tournament. The World’s Greatest Kids Fishing Tournament benefiting many local non-profits. The mission is to provide a fun and competitive event for youth that encourages goodwill, sportsmanship and conservation while recognizing the Boca Grande community and its tarpon fishing history and traditions. This tournament is for kids ages 15 and under. Fishing times are 5:30-8:30 PM with a festival occurring prior to the start of the tournament. Sponsorships are available through contacting Jannon Pierce (941.355.7637 x 404). Tournament rules are available online.